Perched high among the towering Rocky Mountain peaks, Marriott's StreamSide – Evergreen provides luxurious year-round accommodations. Find timeshare resales and rentals online today and save up to 70% with SellMyTimeshareNow.com. Together with its sister resorts—Marriott's StreamSide – Vail, Marriott's StreamSide – Douglas, and Marriott's StreamSide – Birch—the Marriott StreamSide Evergreen property provides a thrilling stay in Vail, Colorado. Equipped with amazing on-site amenities and services, you'll find equipment rentals, free shuttles to area lifts, and other recreational activities available at the Evergreen. Coupled with its amazing proximity to local attractions, you simply cannot pass up owning a timeshare at this property. You'll find the perfect two bedroom villa-style accommodations at the Marriott StreamSide Evergreen resort, perfect for families of up to six seeking a classic mountain escape. Incorporating a unique European design, your timeshare suite will come filled with modern touches and homelike features to ensure your complete comfort. Enjoy desirable in-unit amenities like your own gas fireplace, full kitchen, up-to-date entertainment systems, and more. Are you ready to find your dream accommodations at the StreamSide Evergreen? Fill out the form on this page to learn more about ownership options, or call a representative at 1-877-815-4227. Buying a timeshare at Marriott's StreamSide – Evergreen will enable you to embark on memorable trips to Colorado each year, complete with the best owners-only benefits. However, purchasing a timeshare resale at the resort can give you all those great benefits for thousands less than what others pay. Because timeshare resales are sold by individual owners instead of the resort itself, you can find the same incredible suites for a fraction of the price. With the possibility of saving up to 70% on exclusive timeshare accommodations, you'll be locking down the deal of a lifetime. Resales are offered in the form of deeded fixed and floating Marriott timeshare weeks, spread throughout the brand's Value, Special, Preferred, and Prime seasons. You'll have a number of different price points and ownership intervals to choose from on the secondary market, ensuring you find a unit you love at the prices you want. Your resale can also lead you to bigger and more exciting vacation benefits from the Marriott Vacation Club. 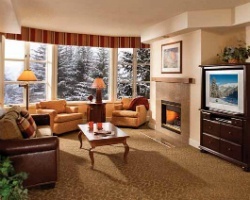 The Evergreen Vail resort is affiliated with the Marriott Vacation Club. Marriott is one of the best names in the vacation ownership industry, meaning you'll be able to take advantage of some truly amazing perks and rewards as a resale owner. You can convert your timeshare week to Marriott Vacation Club Destinations points to unlock a points-based ownership system that can facilitate more flexible vacation planning. Additionally, the vacation potential won't stop at Vail—you can spend your points on reservations at other Marriott resorts in destinations all over the world to gain new experiences and broaden your horizons. The Marriott StreamSide – Evergreen is also affiliated with Interval International, one of the leading timeshare exchange companies. With almost endless opportunities to explore the world, timeshare exchange can help you get the most out of your resale ownership. Simply obtain an Interval membership to pair with your resale, deposit your accommodations into the exchange network, and trade for stays at comparable resorts across the globe. What's more, the StreamSide Evergreen is a Premier rated resort, meaning you'll be able to exchange with other resorts of similar quality, without having to sacrifice the standards you're used to at the Evergreen. The Marriott Evergreen Resort features a wide range of fantastic on-site amenities and services guaranteed to help make your stay memorable. Start off at the indoor/outdoor connecting pool to swim year-round, or lounge in the hot tub to take the stress off. 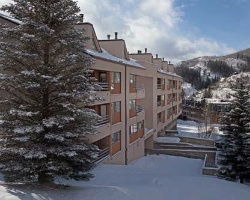 If you're visiting in the winter, you'll be ready to hit the slopes at Marriott's StreamSide Evergreen—visit Charter Sports to rent skiing or snowboarding gear and hop aboard the complimentary shuttle to head to popular area lifts. The Vail area isn't the only place you can ski, with Beaver Creek and Breckenridge also offering great opportunities to shred the fresh mountain powder. You'll also be able to stay active on your trips, with the resort's racquetball court and fitness center providing the perfect spots to work up a sweat. In the local area, the Evergreen is surrounded by amazing attractions and beautiful scenery. Explore all Colorado's High Country has to offer, with endless snowmobiling, hiking, kayaking, and more. Hike the Booth Falls Trailhead to catch the perfect photo op, or test your nerves with an exhilarating zipline through Vail Adventure Ridge. Visit the Colorado Ski & Snowboard Museum to learn about the history of winter sports, or catch the Burton US Open Snowboarding Championships each February. Marvel at CarniVail, a Mardi Gras-style celebration in the streets of Downtown Vail, or dine at upscale local spots like Sweet Basil or The 10th. 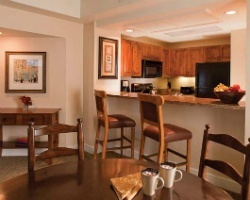 Already Own at Marriott StreamSide Evergreen?